Need a job? How about Pet Food Taster? 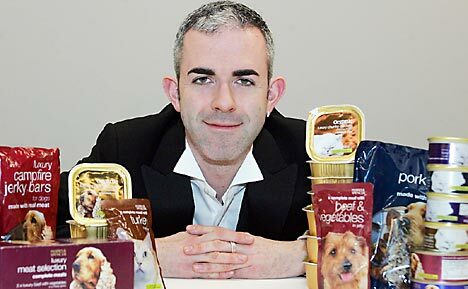 This is Simon Allison, the man who eats pet food for a living. Chicken dinners, beef strips or campfire jerky bars – it is all the same to him: if it’s a dog’s dinner (or cat’s breakfast), he eats it. What’s more, he enjoys it. It sounds like something out of a Hollywood blockbuster. But staff at a sewage works have called in a ghostbuster because they are being stalked by a zombie-like figure who roams the underground tunnels. Workers at Southern Water’s treatment plant in Eastbourne, East Sussex, said they have been scared to enter tunnels after being followed about by a “humanoid figure” as they went about their jobs. Mark Wey, a sewage treatment worker, got permission from his bosses to hire a paranormal investigator to launch an investigation into the sewage spirits.